Located in the heart of Baku city and overlooking the waterfront boulevard, known as the National Park, this boutique hotel offers 150 alluring guest rooms and suites. 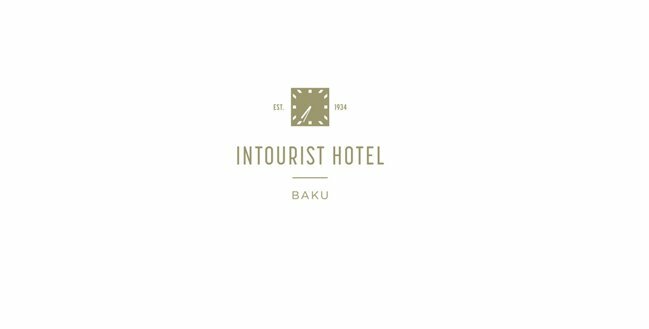 With close proximity to major attractions, the hotel offers superb connections throughout the city.Intourist Hotel Baku revives an 80-year-old legacy, while bringing in the best of modern hospitality experience with its elegant rooms and suites and unique dining facilities. The Income Auditor has the primary role of performing the audit function for all revenues & charges, which should represent a true reflection of the business, posted during the course of the previous day. The Income Auditor should ensure that any shortfalls in procedures, which have been established as part of the monetary controls in the Hotel and/or discrepancies noted in the course of the daily operation are brought immediately to the attention of the Director of Finance. The Income Auditor should have the technical knowledge and capability to act on his own initiative, based on the established audit practices, in order to investigate in a systematic and logical manner key areas where there could be a potential for losses or lack of procedural control. In such cases the Income Auditor should be ready to offer swift and pragmatic solutions. The Income Auditor will be responsible to ensure that all revenue of the hotel has been properly recorded. The Income Auditor has the responsibility of ensuring that all revenue reports are properly supported with documents and are reconciled with the cash takings. The Income Auditor will ensure that all supporting documentation is reviewed for exceptions and irregularities in order to ensure that there are no indicators of personnel fraud and revenue misappropriation or misstatement. The Income Auditor should verify the room discrepancy report on a daily basis to ensure that all occupied rooms have been billed. The Income Auditor should conduct regular spot checks in all the F&B Outlets of the hotel to ensure that checks have been opened for all tables occupied, that all items on the tables have been included in the check, that the checks have been closed in the system immediately on settlement by the guest etc. The Income Auditor will verify that all Void invoices in the system have been reconciled. The Income Auditor will verify from cash-box journal, with General Cashier all payments received by cash, credit card, travelers checks and city ledger amounts. The Income Auditor will conduct spot checks on all cashier floats in Front-office reception and F&B Outlets at least once weekly and as directed by Director of Finance. The Income Auditor will check all restaurants and bar invoices and reconcile with system generated sequential numbering. Any missing invoices to be immediately investigated. The Income Auditor will ensure that by the end of each day all front-office, restaurant checks and vouchers have been filed according to established procedure and take account of the retention schedule. The Income Auditor will ensure that the archive room is maintained in order and all documentation filed in date chronological order, daily close reports, guest invoices, restaurant checks and vouchers according to established procedure and take account of the retention schedule. The Income Auditor will be responsible for processing all credit card refunds after proper verification and authorization by the Director of Finance. The Income Auditor will be responsible for ensuring all No Shows are billed in accordance with instructions received from the Sales and Marketing Department. The Income Auditor will be responsible for any other job that may be assigned to him by the Director of Finance. University degree in Finance is an asset. Previous hotel accounting experience is preferred. Fluent Azerbaijani, English (Russian is advantage). Please send your CV to intourist.careers@absheronhotelgroup.com till November 30th, 2017. Please indicate the name of the position “Income Auditor” in the subject line of the email. CVs without position name indication in subject will not be considered.